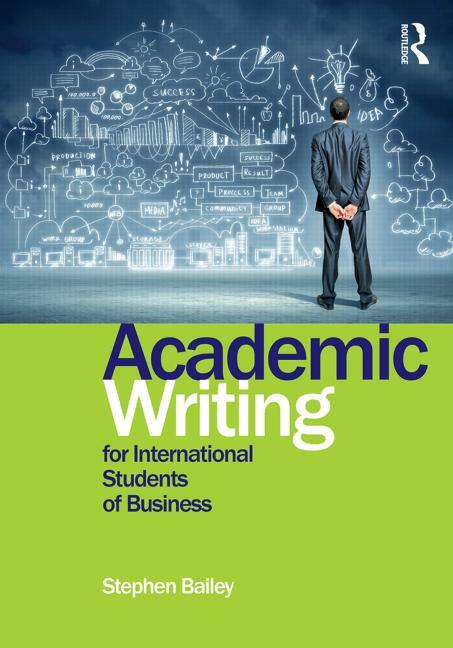 International students of Business or Economics often need to write essays and reports for exams and coursework, and this new, second edition of Academic Writing for International Students of Business has been completely revised and updated to help them succeed with these tasks. This is an up-to-date book that reflects the interests and issues of contemporary Business Studies, with revised exercises, updated reading texts and a new glossary to ensure accessibility and maximise usability. Students wanting to expand their academic potential will find this practical and easy-to-use book an invaluable guide to writing in English for their degree courses, and it will also help students planning a career with international companies or organisations, where proficiency in written English is a key skill. Stephen Bailey is a freelance writer of materials for English for Academic Purposes. He has taught students in Barcelona, Tokyo, Johor Bahru, Prague and Toulouse, and more recently in the UK at Derby University and the University of Nottingham. His other books include Academic Writing: A Handbook for International Students (Routledge) and Heartlands: A Guide to D. H. Lawrence’s Midlands Roots (with Chris Nottingham) (Matador).